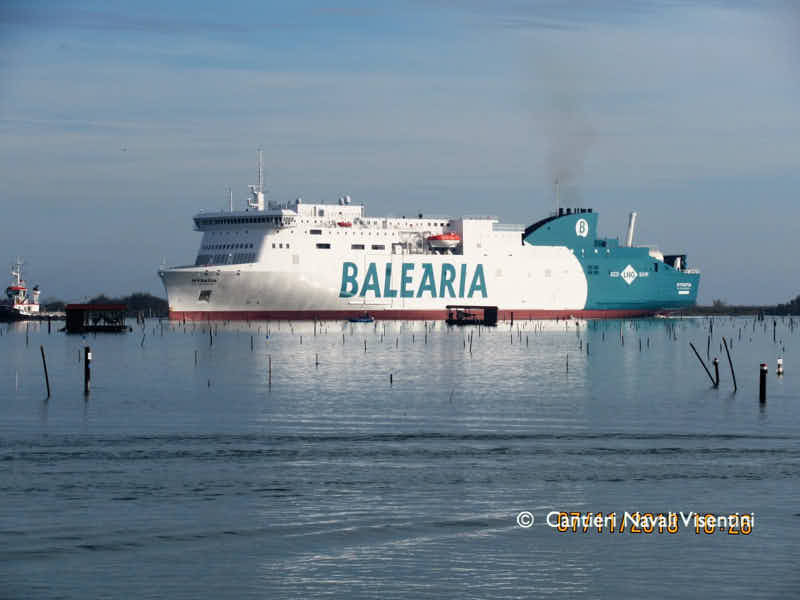 Baleària’s first of two LNG-dual fuel ro-pax ferries left the shipyard Cantiere Navale Visentini and is now in dry dock at the port of Trieste for the final works before the final sea trials scheduled for the next weeks. 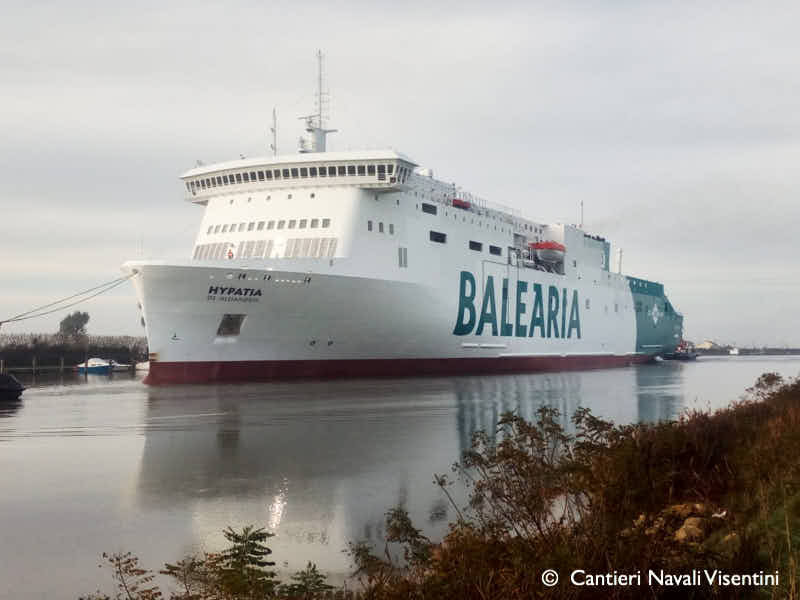 The newbuilding hull n° C224 and already named HYPATIA DE ALEJANDRIA is set to be delivered to the Spanish ferry company Baleària Eurolineas Maritimas SA in the first two months of 2019. The second unit hull n° C225, which is a sister ship and will be renamed MARIE CURIE, is expected to follow some months later, with delivery date mid 2019. These new ferries will have a capacity of 2,100 freight lane meters, 810 passengers and 150 cars each. Baleària ordered the two sister vessels back in January 2017 for €200 million and both will be deployed on the Balearic Islands’ routes.